In the present context, museums must face a great many challenges. One of the most difficult ones is that of anticipating an increasingly accelerated future that generates new and very different ways of relating. Looking ahead to the 30th anniversary of the inauguration of the IVAM, the museum wishes to reflect on what should characterise these institutions in the 21st century and to ask what their boundaries are or whether there should be boundaries. The conference Beyond the Museum will focus on present and future relationships of museums with the agents and spaces that form the artistic ecosystem, and on promoting their integration in contemporary society. experiences in the development of the educational aspect will be shared. 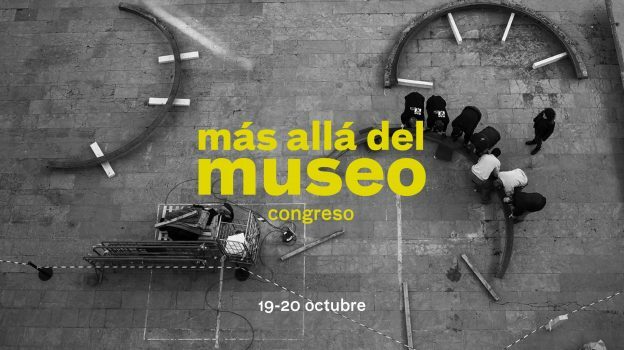 The contents of the conference will be organised in terms of talks and round table discussions with the participation of professionals connected with museums, and it will be completed with communications, selected by means of an international call for papers, which will show the plurality of active thinking that is generating ideas and practices concerning museums. 10:00 h.- Presentation by Albert Girona, Autonomous Secretary of Culture and Sports of the Generalitat Valenciana and José Miguel G. Cortés, Director of the IVAM. Clara Solbes, María Roca: “Relecturas” Hacia una museología en clave de género. Juan Luis Toboso: El museo como forma abierta. El encuentro como forma espacial. El conflicto como forma estética. 19:00 h.- Lecture “ Cuando los subalternos entran en el museo: contra-públicos y rebelión institucional “, by Paul B. Preciado, philosopher and curator. Iwona Blazwick: Art critic, university lecturer and director of the Whitechapel Art Gallery in London since 2001. Her career has been closely linked with the British context, first as curator at the ICA and then as director of exhibitions and displays at Tate Modern, where she was responsible for the thematic organisation of the collection. Carmen Mörsch: Artist, educator and researcher. She is the director of the Institute for Art Education in Zurich University of the Arts, ZHdK (Switzerland). She was chief researcher for Documenta 12’s education programme. Her research work focuses on education in the museum context, understood as a collaborative critical practice. Andrea Viliani: Art critic and curator. Since 2013 he has been director of the MADRE in Naples. Previously he was director of the Fondazione Galleria Civica – Centro di Ricerca sulla Contemporaneità in Trento and curator at the MAMbo in Bologna. In 2012 he belonged to the group of Documenta 13 curators that worked in Kabul and Bamiyan, in Afghanistan. Paul B. Preciado, Philosopher and curator. Sjarel Ex, Director of the Boijmans Museum in Rotterdam (Holland). Jean François Chougnet, Director of the Musée des civilisations de l’Europe et de la Méditerranée , MUCEM. María Inés Rodríguez: Ex-director Musée d’art contemporain de Bordeaux. Katya García-Antón: Director and Chief Curator. Office of Contemporary Art Norway. Manuel Olveira: Director of MUSAC.